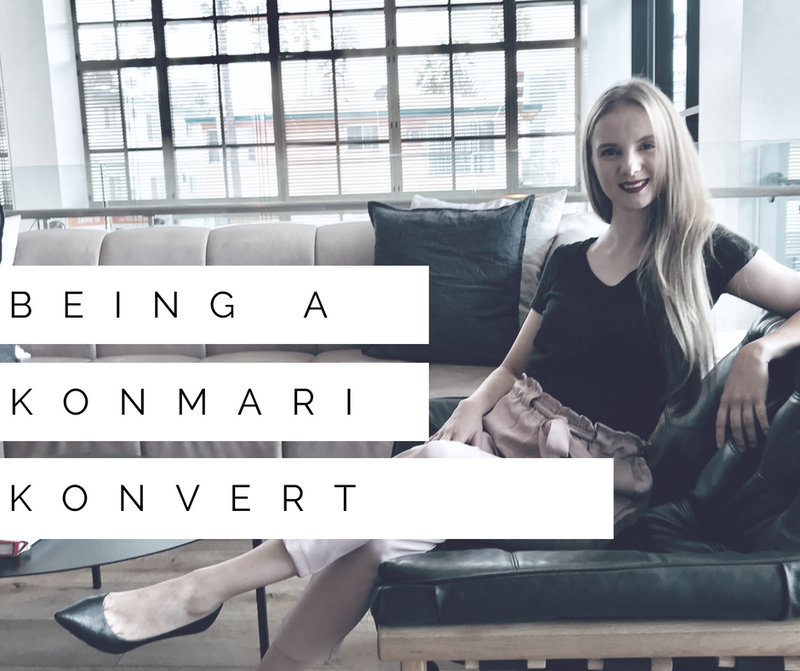 Have you heard of the word “KonMari Konvert”? I recently came across this term and it filled me with all kinds of ideas. Would I describe myself as a “KonMari Konvert”? - Absolutely! Here are the characteristics of a “KonMari Konvert”. Do you recognize yourself in some of them? Until we really think about it, we often don’t know that we always have the choice to see the good things in life. It’s all about shifting your focus to what sparks joy and trying not to give so much attention to the things that don’t. Unfortunately, a stressful live, unexpected events or the general feeling of being overwhelmed make it often hard to stay in the moment and count our blessings. However, we need to realize that all the good things are often buried underneath our mental clutter. By focusing on the wrong things, the things that make us happy disappear from our field of vision. During a KonMari decluttering and organizing session, one of the most important exercises is to find the items that spark joy within the piles of clutter we have accumulated. This teaches us to find the “good stuff” in what can sometimes look like a huge mess. The more attention and room we give to the things that spark joy, the less room we have for everything that doesn’t. Now remember that our mind work the same way as our home. We can decide to “store” useless clutter and fill every little empty corner we see. Or we can take steps to remove unwanted elements and keep only the ones that impact us in a positive way. If you think of your mind as a home, it is easier to understand why we should be very selective of what we bring into our mind and what we allow in our space. This switch in mindset is the first step in clearing out the clutter, inside and out. If you decide to embark on your KonMari journey, the first thing you should do is to define your vision. That means, taking a moment to sit down in a calm environment without distractions and write down everything that comes to mind when you think of your ideal life. How do you actually want to live? Which elements and activities are part of your life, what items do you see when you walk into your home (and which ones you don’t! ), how would you like to spend your days, your weekends, what do you want to surround yourself with? Your vision is what guides you through the KonMari Method. It is your roadmap to living the life you want. It will also allows you to assess if something still serves a purpose for you or if it is time to let go gracefully. By creating a space that fosters your personal development and growth, you create an environment that supports you every step of the way. Your home will be aligned with your life vision and you will be on the right way to turn your vision into reality. Think of your vision as your roadmap on your journey to where you want to be. As a Certified KonMari Consultant, one of my personal visions is to help as many people as possible to live a life filled with joy and teach them how to let go of what holds them back. And seeing all those amazing changes that happen in people’s lives once they learn to let go is the most rewarding part of the job. If I had to describe the principles of the KonMari Method in one sentence, I would say: It makes room. Room to breathe, room to live, room to grow. It all starts by creating physical space in your home. By removing unwanted items from our homes, we are already entering the right mind set. The physical exercise of decluttering helps us to shape our thought process and apply the same principle to our mental space. That means, we give our minds a “good tidying” by assessing which thoughts support us and which ones stand in our way. Going through the entire practical KonMari decluttering and organizing exercises first trains us and makes it a lot easier to repeat the same process when it comes to our lives in general. We often need to take a good look at what elements cause us stress and how to better protect our personal space. Afterwards, you will not only find yourself with a tidy space, but also a clear mind, which leads to overall better focus, higher energy levels, reduced stress and better life quality. I believe it is human nature wanting to fill every empty space we see, whether it be a corner in our homes or a free space in our minds. However, it is so important to see the value of blanc spaces, spaces that are left empty. Because it is those spaces that give us room to grow and room to breathe. If you are familiar with the KonMari Method, you already know that thanking our items before letting them go is part of the process. By doing so, we acknowledge that these items had an impact on our lives at some point but that we are now ready to move on. When you are on a path of self-improvement and removing obstacles from your life, it is important to consciously part with the past. Thanking our unwanted items is the best way to make a fresh start and remove all traces of guilt that might come with letting go. Practicing gratitude in daily life also helps us focus on the positive and helps us realize what actually makes us happy. It makes us realize how lucky we are and that - whether we always see it or not - are always surrounded by things that we can be grateful for. The law of attraction shows that our thoughts can become our reality. Everything starts with the right mind set. Once you have gone through the entire KonMari Method, you will have determined what items spark joy for you, you will have gracefully let go of unwanted things and you will have created room for yourself. Marie Kondo says that “the true magic happens after you have completed the method”. All of a sudden, you will find yourself surrounded by things that support you in living your best life, you will have removed obstacles and created mental space. The KonMari Method is a transformative approach that works in your home but also in life in general. The sky is the limit when it comes to how you want to live your life and using the newly gained physical and mental space to turn your dreams into reality is what makes the magic of KonMari.